Fermoy and District Active Retirement Group meet on the 1st and 3rd Wednesday of the month at 2:30 pm in the Community Youth Center. Our activities include talks, demonstrations, quizzes, and tea parties. Our social outings include day trips, visit to the dogs and race meetings. Our members also enjoy Aqua Aerobics and Tai-Chi. We have a membership of 103 male and female members. New members are always welcome and the cost of membership is €15 per person or €25 for a couple per annum. We organize a 6 day break in Ireland in the summer as well as Spring and Autumn breaks abroad. Our members also like to take part in the St. Patrick’s Day Parade, a walk annually for the Heart Foundation and Bag pack for the Simon Community. 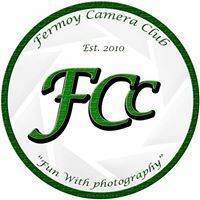 Fermoy Camera Club meet twice monthly on the 2nd and 4th Tuesday of each month at 8:00 pm in the Anderson Room (upstairs). 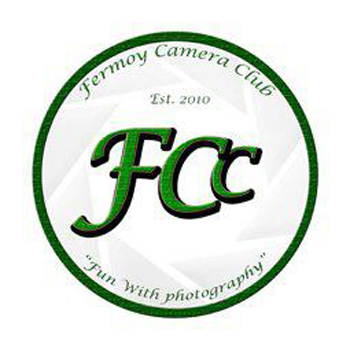 Fermoy Camera Club’s ethos is to provide an association of like-minded people, to enjoy, to share and to advance their photographic skills and to have “fun with photography”. We encourage photography within the community and use photography to the benefit of the community by providing pictorial records of its people, its environs and local events. Our first meeting of each month consists of a workshop or a talk by an expert. Our second meeting is our competition night where each member displays a photo (anonymously) based on a theme for that Month. We all vote on the photos and have a 1st, 2nd, 3rd and 4th on the night. The top ten each month go forward for our photographer of the year competition. We also have field trips, local & social outings, exhibitions and participate at festivals. You are welcome to attend two meetings as a guest and there is a small cover charge of €2 for the hall, teas and coffees etc. Our Club year is from January to January and membership is €50 + €2 for each meeting to cover hall and teas etc. Membership is open to everybody over 18 years of age. 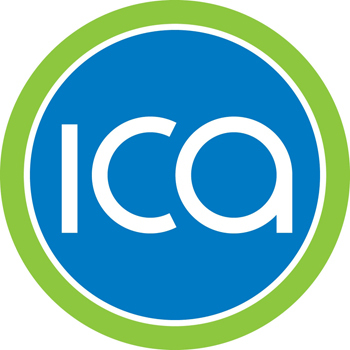 The Fermoy Irish Countrywomens’s Association (I.C.A.) meet on the 1st Wednesday of every month in the Orange Room (downstairs) from 8:15 pm – 10:30 pm. 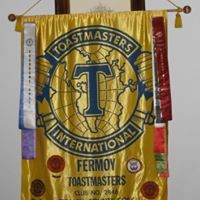 At our monthly meetings we have a guest speaker or demonstration for our members to enjoy. Weekly Tai Chi classes will be restarting in September in the Community Youth Centre. Keep an eye on the Events page for details. We also have a knitting class every Tuesday in Fermoy Library; we go for a walk once a week (weather permitting) and we visit the Fermoy Hospital once a month to visit the patients. Meeting every second Tuesday from 8:00pm to 10:00pm between the months of September and May in the East Room (Downstairs). 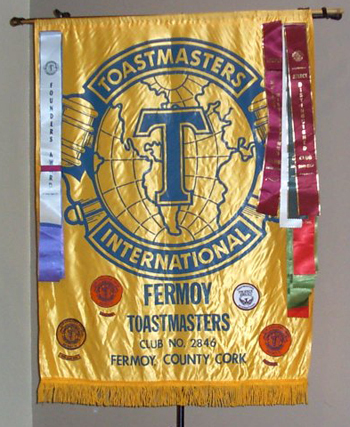 Fermoy Toastmasters are a group dedicated to personal growth through enjoyment and pleasure and offering an avenue to a more rewarding and fulfilling life. Our club is a powerful but gentle learning curve marked by humour, warmth, and the thrill of new discovery that brings refreshment and satisfaction to all prepared to give it a try. In our two hour gatherings we provide an entertaining and stimulating opportunity for people to come together and gain proficiency in speaking in public in an intimate group setting and expressing their meaning with clarity and brevity through short prepared talks and bubbly impromptu topics sessions all serving to encourage quickness of mind and eagerness of thought.Our meetings are open to everyone and we extend a warm and hearty welcome to all. You will not be asked to speak although if you want to at the opportune moment, we would be ever so pleased to hear from you. We would be delighted to meet you and we promise a memorably pleasant and enjoyable evening. We hope you come as often as you wish and if you decide that you would like to join us, we promise you the sky is the limit.